So I'm back, and if it isn't already evident though the lack of recent posts on this here blog, the craziness of my first assignment of my final year at Uni kind of took over. Thankfully that's all done and handed in now, meaning I'm able to focus on producing content in advance to the mayhem starting again for my next degree shaped task. 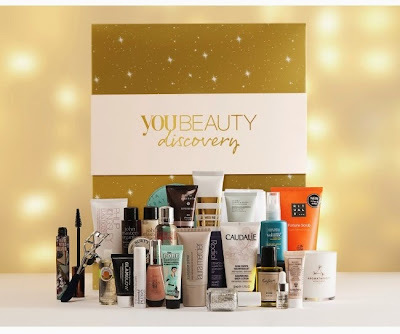 However, since Christmas is on it's way (six weeks to be precise) I've been doing a little Googling, all in the name of research, of course, and narrowed down the top beauty advent calendars all blogging peeps would no doubt love to open come December 1st. Depending on your budget, there are a variety of calendars to suit. Whether you fancy trying out what a particular brand has to offer, or instead fancy dipping your toes into 24, keep reading. 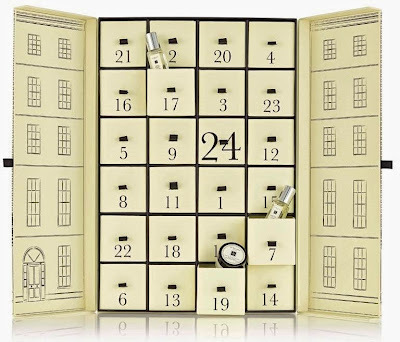 If you love all things luxury, then the Liberty advent calendar needs to be on your radar, like, right now. At £149, it may be particularly eye watering when it comes to the price side of things, but thanks to it containing £420 worth of beauty, you're getting one hell of a deal. Holding goodies from the likes of Diptyque, Espa and Eve Lom, how could one say no. And the packaging? So supremely chic. If you're more into focusing your beauty needs on one particular brand, then Jo Malone's offering may be more appealing. 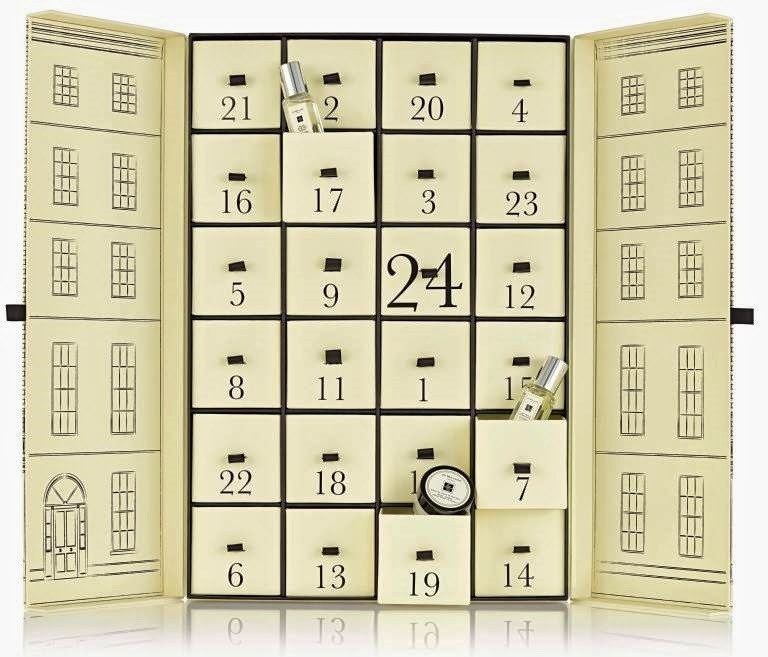 Retailing at £250, the price certainly is not, however filled with 24 miniature treats, the calendar allows you to sample the various delights the luxury brands has to offer. Narrowing down to the slightly less pricey, we have the Selfridges Enchanted Spells advent. It's cost sits well for the gifts included, with Lancome, Kiehls and Urban Decay to name just a few. Due to this, it's likely to sell out pretty quickly so if you fancy snapping it up I'd recommend doing so asap. If you're wanting to sample an array of products on a budget, then You Beauty may be the one to watch. At just £49.95, the calendar is stocked with over £240 worth of awesome, including Rituals, Philip Kingsley and Laura Mercier filling the doors. Yes please. Again another branded calendar, this time for Elemis lovers out there. 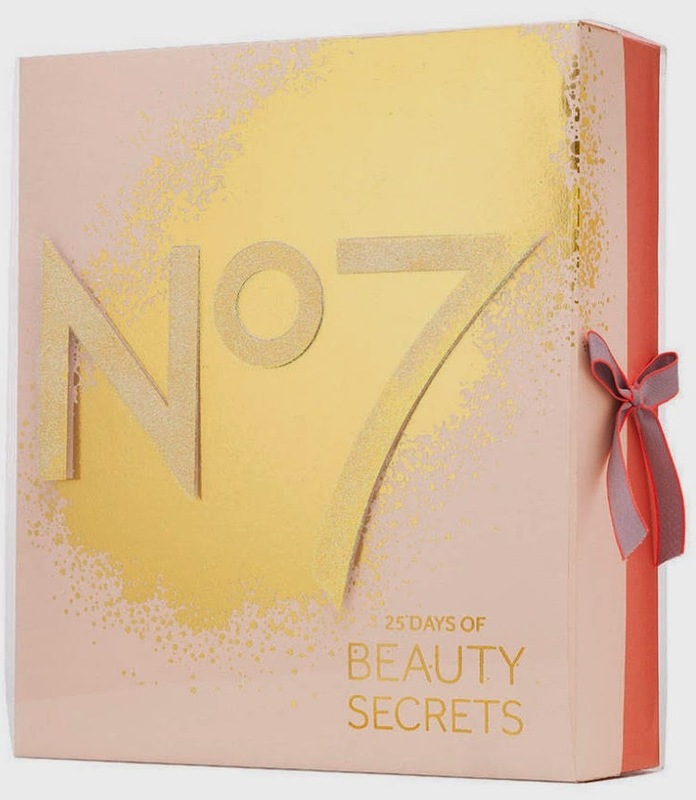 Although containing just 12 days worth of treats instead of the typical 24, 12 Days of Beauty is ideal for the skincare guru who likes to indulge. With everything from cleanser to shower cream, the goody gives the chance to sample a broad variety from the recognised brand. If brands such as Nip + Fab, Korres and Tanya Burr are your thing then it may be worth taking a trip to Tesco some time this November. At just £50 for the lot, it's a total bargain and a nice change if you fancy something other than the typical chocolate kind. 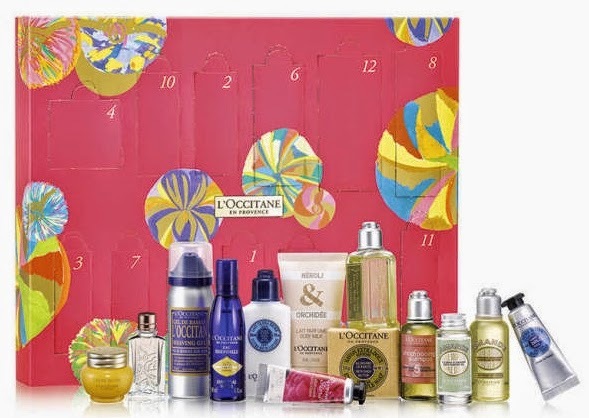 Featuring 13 lavish products, the L'Occitane advent calendar is stocked up with everything from shampoo to hand cream. Retailing at £45, it's incredibly priced considering the quality of the contents inside. Being a huge fan of the brand, I would be a very happy, very pampered bunny if I was to open this through December. One for the talon lovers, the Ciaté Mini Manicure Manor contains 24 nail shaped goodies to ensure of the perfect manicure throughout the whole of December. With a variety of best selling polishes, a nail pot and set of transfers, your nail stash will have never been so enviable. If you're a fan of Benefit then there's no doubt that this one's for you. 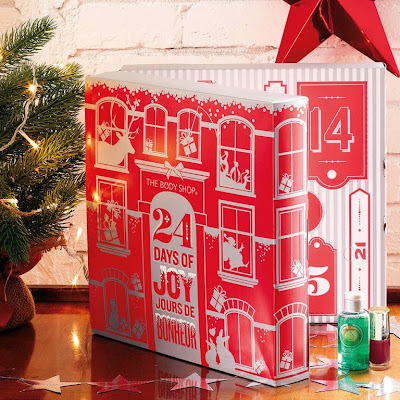 24 makeup delights, the Benefit advent is however only produced in few, with just 8,000 available both online and in store to beauty fans. Available from Debenhams and Benefit Boutique stores, if you have your eye on one then you best get buyin' as they're selling out like hot-cakes. When it comes to general skin and body care, The Body Shop fail to disappoint, Whether you're after sampling what the brand has to offer with latest launches or best-sellers, this one has it all. Not only that, each calendar bought, The Body Shop will then donate to charity, War Child to help educate children situated in war-torn areas. No7's calendar provides beauty fanatics with not only 24, but 25 beauty secrets - as the brand put it. A value of £135, there's a serious saving within each door, which also happens to reveal a special quote alongside. It's unsurprisingly sold out online, however you're still able snap it up in Boots stores. 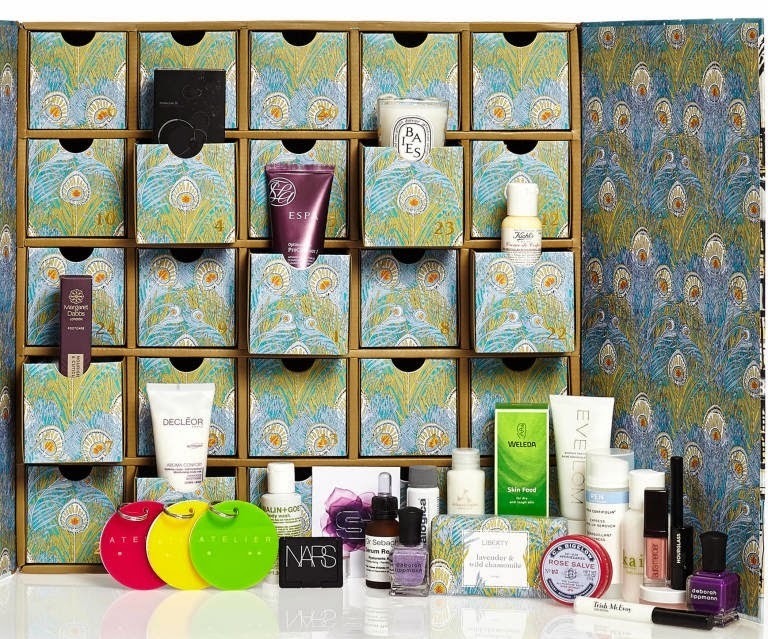 Which advent calendar have you got your eye on this Winter? Is the beauty kind tickling your fancy or will you be picking up the classic Lindt alternative? I would love the Jo Malone one, but I don't think my bank account would ever allow it!